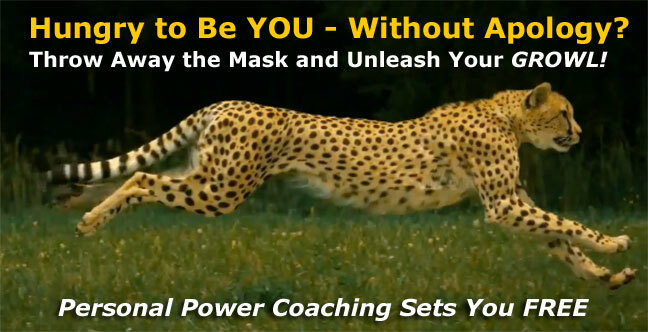 Do You Need Personal Power Coaching? Have you spent so much time trying to please others that you aren't sure who you really are any more? Do you always look to others to tell you that you look good or that you're doing the right thing? Are you the rescuer - the go to person whenever anybody needs anything? Do you hide your true dreams and desires so you will be what others want you to be? Are you afraid that if you say "no" the important people in your life won't love you any more? Are you so tired of defending your thoughts and ideas that you just don't share them with others? Do you look in the mirror and wonder who is the person in the reflection and where you are? Do you feel like you're the only one like you - that you don't belong - and wish you were like other people? Are you afraid that you'll die with your gift still inside you, eternally unappreciated? Do you wish that you could earn the compensation that is equal to what you know you are worth? Do you fear that if you don't do something different you're going to either explode or disappear? These are just some of the things that may be running through your mind. Any ONE of them is a great reason to tap into some Personal Power Coaching. The good news is that you're here…and I can help. You are looking for uncommon answers from a trusted source. The information you seek is not a part of the common knowledge base. Uncommon knowledge is my specialty. We will look at the elements of your challenge in a holistic frame of reference, and then choose the solutions which feel right to you. You have been putting everyone else in front of you and it has caught up with you. It is time to make yourself your number one priority. No one else can do this for you. And it may take you a few practice attempts to learn to line up with giving yourself Permission to be first on your list. We are going to address your situation through the four levels of life, starting with your environment. You will truly be amazed at what a big difference it makes to stage your own support around you. Next, we will look at your emotional life to set you free from being a prisoner in everyone else's trauma dramas. Third, you and I will work on the power of your mind - yes, you really can think your way out of and into whatever you'd like to do, be, or have. Finally, you will line up with what makes your soul happy - just like you used to - before you sacrificed yourself on the altar of pleasing everyone but you. Trisha Keel has the unique ability to acknowledge emotional and stressful situations, and also cut through to the core of the problem. She incorporates the best thinking from multiple disciplines to provide a comprehensive approach that leaves the power and accountability in your hands. Whether you're looking for a life coach, a consultant for a project, or a spiritual guide and teacher, Trisha Keel will give you more than you expect. I have personally benefited from her straight forward and supportive approach to addressing family/divorce issues, adolescent behavior modification, career insight, and coaching. If you're searching for real help, you will find what you're looking for by engaging with Trisha Keel. She won't do it for you, but she will inspire you to take control and do it for yourself. …you get one every morning. Just like a new year, you can begin all over again. 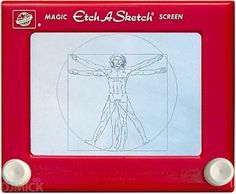 As my good friend Sheri Anderson reminds me, "Every day is an Etch-a-Sketch day." Time to shake things up. You ready?